Authorized in 1931, with repeal and re-adoption in 1933, the Theta Rho Girls' Club comprises of girls from 10-18 years of age (8 years of age if jurisdictional laws allows) who are entitled to remain until 21. The present Ritual dates from the Revision of 1989. 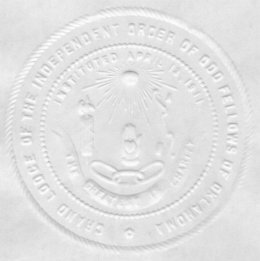 The current Code of Laws for Theta Rho Clubs was tentatively authorized and adopted in 1956. "Theta" and "Rho" are two Greed Letters, "O" and "P" initials of two Greed words that can be interpreted to mean "Daughter of Rebekah" The emblem of the Theta Rho is the Blue Bird, the Motto is "Happiness Through Service" and the colors are yale blue and light peach.